What Future for the Counter Terrorism Center of the African Union? The African Center for the Study and Research on Terrorism (ACSRT) was established by the Commission of the African Union in 2004, in compliance with the Protocol to the 1999 Convention on the Prevention and Combating of Terrorism. The protocol was drafted by the Organisation of African Unity (OAU), now known as the African Union. The headquarters of the ACSRT was established in Algiers, Algeria, as decided at the high level intergovernmental meeting of the African Union on terrorism, held in Algiers in September 2002. 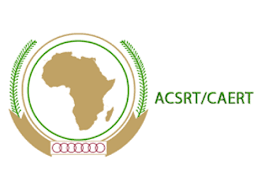 The initial mission of ACSRT was to serve as the main research center for preventing and countering terrorism in Africa, using a database of information gathered from all the member states. The center collects and analyzes data regarding threats across the Continent and then shares intelligence with all the partners in order to better coordinate counter-terrorism (CT) activities. ACSRT also aims to build up CT capabilities in the member states with workshops, training programs, and regional conferences involving different stakeholders. The ACRST works closely with regional and international partners, including the EU, the UN, the International Civil Aviation Organization and the Global Counterterrorism Forum. The center is considered part of the Peace and Security Department of the AU Commission and has a leading role in African efforts to promote and implement a common CT framework. The former directors of the ACRST and Special Representatives of the AU Chairman on CT were skilled diplomats. Francisco Caetano Jose Madeira from Mozambique, a country which is now facing a growing terrorist threat, served as ambassador to many African countries from 1984 to 1989 and was a member of the negotiation team during the peace talks with RENAMO, which resulted in the 1992 Rome agreement. He was appointed director of ACRST in 2010. Before him, the director was Diarra Boubacar Gaoussou from Mali, a former ambassador to Tunisia and Special Representative for Somalia. The current director hails instead from the military. Larry Gbevlo-Lartey, a retired Lieutenant Colonel from Ghana, was National Security Coordinator from 2009 to 2014. He participated in several peacekeeping missions and in 2014 he was sworn in at ACRST. His deputy is Idriss Mounir Lallali, a security officer from Algeria, head of the Alert and Prevention Unit. In December 2017, the Chairman of the African Union Commission, Moussa Faki, chose Algeria as the CT strategy coordinator. Faki said that Algeria was chosen because of its “pioneering experience” in this field and its successful policies in countering extremism. The chairman added that all the African countries should follow the Algerian path in the fight against terrorism. That is why the Algerian government began to explore a different role for ACRST in 2018. While the former director Gbevlo-Lartey aimed at the consolidation of ACRST as a center for training and education, similar to what the Center of Excellence for Stability Police Units of the Carabinieri does in Italy, the Algerians are pushing to transform it into a coordination hub for operational purposes, in order to support the regional CT network in the Sahara region and beyond. So far, CT operations in Africa have been carried out largely in a national capacity only, due in part to political rivalries and unsolved territorial disputes. A dualism persists between the phenomenon in the Maghreb and what happens in sub-Saharan Africa. The connection between these two regions is the Sahel, a route for several illicit trades that is threatened by Jamaat Nasr al-Islam wal Muslimin, Boko Haram, and other extremist groups. The future of the ACRST still remains undefined, as there is no clear shared vision among the partners and it would need much more funding from the African Union to become an operational center. This adds to the political uncertainty surrounding the upcoming Algerian election and the fate of president Abdelaziz Bouteflika. *Matteo Pugliese is an ISPI Associate Research Fellow for the Center on Radicalisation and International Terrorism. Since 2015, he has been working with the Organization for Security and Cooperation in Europe. In 2017, he was appointed Special Representative of the OSCE Chairperson-in-Office, Sebastian Kurz, on Youth & Security. In 2018, he was confirmed the same position by the Italian Chairmanship.